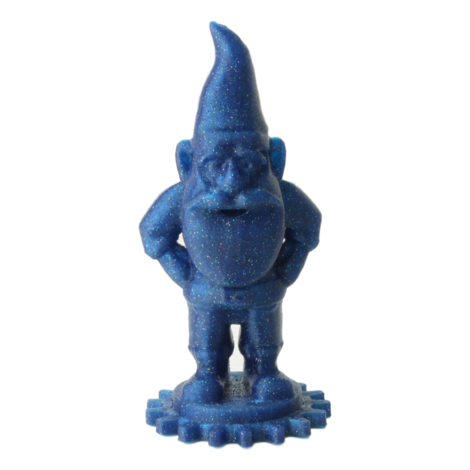 Designed by Proto-pasta Filament-making Workshop attendee Ben Nickles and voted "favorite " by the attendees, we introduce to you Blue Wonder Glitter Flake HTPLA. On July 21st, Proto-pasta workshop attendees had first access to the new gold and multi-color glitter flake concentrate during the first ever filament-making workshop! Ben seized the day in designing this color and everyone loved it so much that Proto-pasta agreed to release it, to commemorate the experience. Other than being an original creation, you might wonder how this blue different than others? Well, it's translucent and has big multi-colour flecks, that still wont clog your nozzle! Print with the ease of standard PLA with standard hardware and temperatures, but make fun, mesmerizing prints that stand out. Celebrate good times by printing toys, treasures, and keepsakes. If you want to make a print more fun, just add some metallic pop! Our metallic finish contains no actual metal and has little risk of clogging or wearing your nozzle, and it won't make a glitter mess, but beware the printing is sure to be addictive! We recommend 0.2 mm layers for the best result. Metallic particles are relatively small but have some orientation effects, giving top/bottom surfaces more shine than sidewall, so have some fun playing with orientation to see how the result changes! 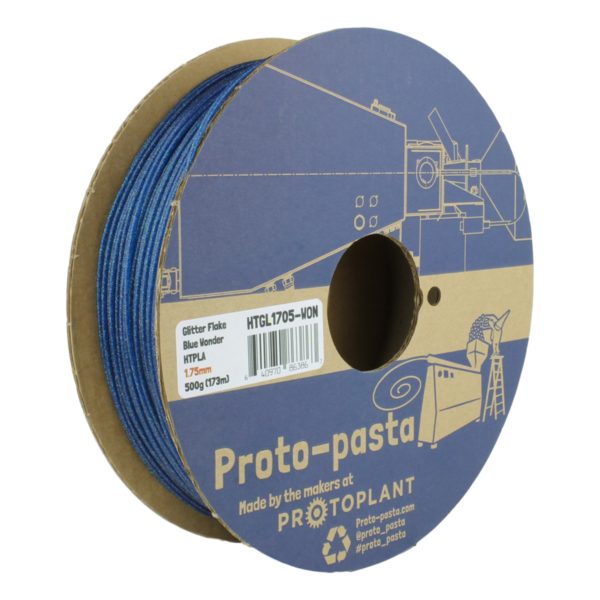 Avoid jams, improve print reliability with Proto-pasta HTPLA on the Prusa MK3.